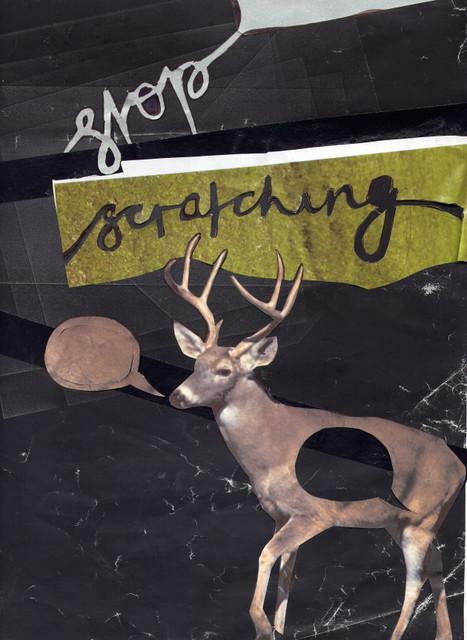 stop scratching: i don't wanna build an empire. The music is delicate and thoughtful folk, it’s minimalistic but the quaint nature of it ensures that none of the charm is lost. The focus though for me his mature and distinctive vocals and of course, the lyrics, which are an endearing account of the life, the loves and the troubles of the whimsical Mr. Serfaty. It’s when you pay close attention to them that you notice the references to life in London but fortunately Phillip seems to have divorced himself from the often negative affects the city can bestow on you and sings about his idiosyncrasies in a convincingly upbeat manner. I asked him a few questions to work into this write up but his answers were so amazing i’ve left them exactly how as they are and are in full here for you to read. Enjoy. BS: How does living in a suburb as infamous as New Cross effect your music? Do you find yourself getting grouped in with a scene you evidently don’t want to be a part of? PS: I don’t know how much of a difference it makes to the music itself, but most of KATOF live no further than fifteen minutes from each other and we’re recording our first record above the off-license opposite New Cross Gate Station, so i suppose you could say that we’ve created a little hub for ourselves, for better or for worse. As far as getting grouped in with a scene, i don’t think there is any such thing. I mean, musicians, promoters and artists know each other, but i reckon that has more to do with proximity and mutual friends than any kind of shared ideals. BS: You often reference not wanting to be a ‘part of this’ or ‘getting out of here’, what it that bothers you so much? PS: The immediate though that popped into my head is the first scene in ‘Annie Hall’ where Woody Allen paraphrases Groucho Marx: “I would never want to be part of any club that would have someone like me for a member”. BS: Your lyrics are contemporary and sometimes relate to life in London, do you think KATOF can exist without the artistic inspiration of life in a big city? PS: Sure, I think I could always find things to write about, whether I’m a penniless shmuck in a city or a dribbling recluse out in the sticks. BS: You seem the have the unbridled ability to talk about your life and tell stories in and amusing and honest in a way I find similar to Brandon Flower of Barr. Who/what would you site as your main sources of inspiration? PS: That’s a nice comparison, Barr are great! Daniel Jonhston, Smog and the ethics of K Records inspired me to start home-recording when I was about 17. Jimmy from The Bobby McGees taught me how to play the ukulele. I listen closely to lyrics and I’m a big fan of the SIlver Jews. I long to be able to write a lyric like : “When I go downtown/ I always wear a corduroy suit/ cos it’s made of a hundred gutters / that the rain can run right through”. I’ve been listening to a lot of Arthur Russell, so I seem to be more enthusiastic about the cello these days. I like baritone voices and my favourite performer is Jacques Brel. BS: Your friends often join in with the fun, how important is their role in your music? Could you not say just do it all with an acoustic guitar and a few other bits and pieces? PS: The line-up is constantly changing, members come and go. It gives me a lot of freedom, in that I can always play a show, whether solo with a ukulele or with a five piece band. Also, it means that musicians are less reluctant to play with me as there are no contracts involved, they can come and go as they please. There’s the cliche that being in a band is like being married. Well, we’re more like swingers. BS: I admire the fact you don’t want to play shows because of their supposed benefits but say you were scouted one day at a show in one of these A&R hangouts? Would you actually be opposed to taking this project somewhere because it’s something you did for fun? PS: If don’t think anyone would be crazy enough to take an interest in my music from a financial perspective. But if someone offered me the opportunity to release a record and travel for a while, well, that could be fun. However, as soon as money gets involved, your relationship to your creative activity does change. You approach it differently when it becomes your source of income, I worry the pressures of success would impinge on the music. I suppose I like the idea of taking the project to different places, both literally and metaphorically, but doing so with great caution. I’d try to avoid signing anything. Not that I have had any offers, you understand. BS: What are your intentions now? What do you see in store for the future of KATOF? PS: Well, we’re recording a five song EP that we’re going to release ourselves, hopefully on 7″ in early ‘09. I’m hoping to move to Paris in the summer, I know it really well and am desperate for a change of scene, I’m too comfortable these days. The music is my main creative output and will continue no matter where I live. Also, it’d give me the opportunity to rename the band to King And Ze Olive Fields. BS: And lastly, what is favourite dinosaur and why? PS: Probably the Diplodocus. It’s a huge towering beast but it’s a herbivore so it’s not too threatening. I doubt it would crush a fellow vegetarian. I imagine it would pick me up by my shirt and pop me on its back, at which point I would run up his neck, sit on the top of his head and keep an eye out for carnivores in the distance. 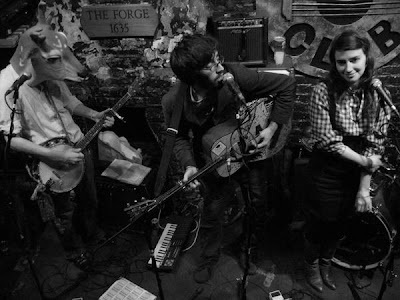 You can check out KATOF's myspace here and go see them live this Thursday (Dec. 11th) @ The Amersham Arms.